When was the last time that you found yourself guilty of this awful habit? You can’t remember? Lies you tell. I’ve done it, you’ve done it and everybody else in this world has done at some point. I guess that it’s more primal than one might think. In one way or another, we are all “inserted” in a community. Having said that, it’s almost impossible not to feel curiosity about how our “neighbours” are doing. Feeling curiosity about other people’s lives is not by itself a bad thing. However, when you start to compare your life with theirs and negative thoughts emerge as a result of that action, that is when it becomes a bad thing. At the end of the day, it doesn’t matter what others are doing, it only matters what you are doing. You are the one (in fact, the only one) living your life. So why are you comparing it with other people’s lives? You are the benchmark. Whenever you see someone doing well in their lives, try not to feel jealous about their success, instead take it, as a source of inspiration. Don’t take social media too seriously. Let’s be real, everything on your friends’ page is a meticulously filtered version of their lives. You see what they want you to see — the good stuff. That’s all I have for now. Once you say to yourself that everything is relative, you’ll get less frustrated about things. In addition, do not focus solely on the end goal, because enjoying the journey to get there is important as well. It doesn’t matter whether you succeed or fail, the only person you ever have to compare to is yourself. 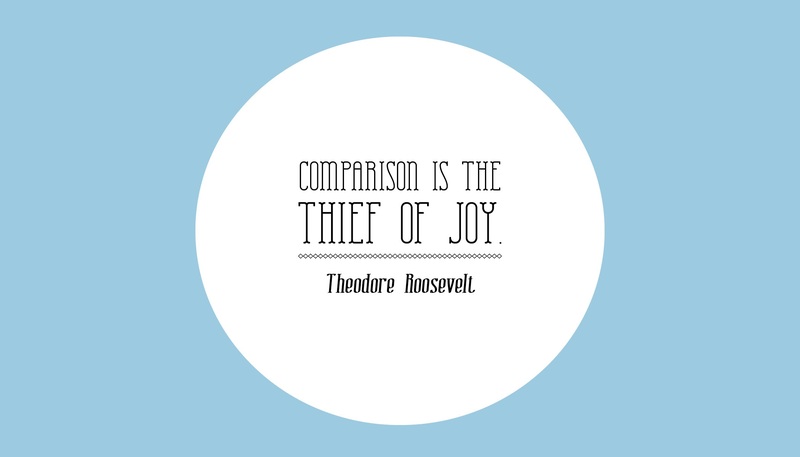 In the spirit of Teddy’s words, today I’m going to push the “Stop Comparing Yourself To Others” button and enjoy my day.